The 14th GA decided a two-stage process to address issues where diversity of approaches are needed : a kick-off brainstorming meeting to be organized by the programme managers of ALADIN, LACE and HIRLAM, CSSI chair and French LTM in May 2010 in Croatia where experts on theoretical aspects from ALADIN/HIRLAM/ECMWF should be invited, in the fields of higher resolution modelling (i.e. all forecast model aspects including the links with data assimilation and EPS but not more on the latter aspects); PAC will then study the conclusions/proposals of this workshop and prepare a scientific vision workshop for 2011 (see Strategic workshop, Bruxelles, 27-29 September 2011). 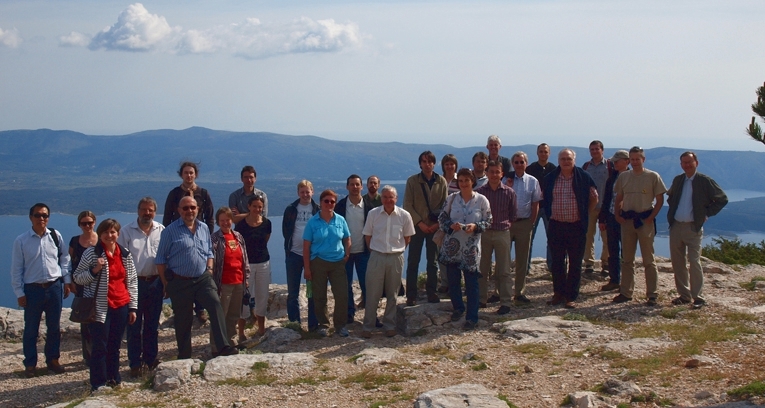 Thus, the BRainstorming on Advanced Concepts –on High Resolution modelling workshop took place in Supetar, Brac island, Croatia, on 17-20 May 2010.